 A reliable source for Plastic Materials information and a resource for accessing leading Plastic Materials and suppliers. Plastics compose an extremely common category of synthetic material that resembles natural resins. The word “plastic” comes from the Greek and Latin adjectives designating an object that can be shaped or molded. Plastics are highly valued for their efficiency across many categories (e.g. economical, material, etc.) and are thus abundant across virtually every commercial industry. A proper understanding of plastics in general begins with an understanding of their natural counterpart. The scientific term resin refers to specific types of organic compound mixtures that are not soluble in water. Resins are usually secreted by plants (especially woody plants) as a type of natural “bandage” to aid recovery when the plant has sustained harm in some way. These substances are very viscous, transparent to yellowish-brown in color, and flammable. They are notable – and have historically been economically valued – for being able to convert to arrangements of polymers (long chains of organic substances) and harden into solids. Introduction Plastics compose an extremely common category of synthetic material that resembles natural resins. The word “plastic” comes from the Greek and Latin adjectives designating an object that can be shaped or molded. 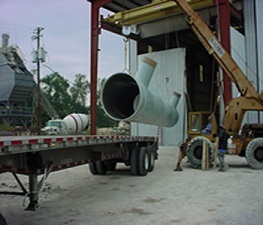 All Plastics and Fiberglass performs fabrication for fiberglass and plastics. Among the standard products we produce are ducts, grating, structural shapes, pipe hangers and tanks. We do custom fabrication on tanks and pipe hangers. Diversified Plastics has a very narrow focus…. flexible poly packaging. Poly bags, poly sheeting/film and poly tubing. Clear or printed. Stock or custom production orders. Medical, food/produce, retail, industrial, animal bedding, mulch bags and more. Custom Poly Packaging is a family-owned manufacturer of a variety of plastic products. Our services include custom printing and manufacturing to custom sizes and specifications. We ship blind, confidential, and third party. Rutan Poly, high quality plastic manufacturers, produces low and high density polyethylene plastic materials and color film in a wide range of thicknesses, as well as anti-static plastic sheeting and much more. Multi-Pak USA Inc has been manufacturing poly bags and providing premium customer service since our founding in 1992. In order to meet the needs of our nationwide clients, we manufacture bags suitable for promotional and industrial applications in a variety of styles and sizes. The rise of plastic in modern manufacturing is one of the most profound economic changes in recent history. Over the past one and a half centuries, plastic has gradually risen to replace a host of other materials (e.g. metal, wood) as a preferred material of choice. Because of its versatile and efficient characteristics, there has been an especially high demand for plastic containers spanning a wide range of industries for the past half century. Today, plastic has virtually wiped out other material competitors in many economic sectors in societies all across the world. Plastics Materials – All Plastics and Fiberglass, Inc. In its earliest form, plastic appeared in 1862. In that year, Alexander Parkes displayed an invention called “Parkesine” at the Great International Exhibit in London. This early form of plastic was derived from cellulose. (Today it is known as celluloid.) Initially, one of Parkes’ main goals was to provide a cost-effective alternative to rubber. The modern age of plastic did not start to really develop until the early twentieth century. The first fully synthetic plastic came about as an accidental discovery in 1907. During that year, chemist Leo Baekland discovered how to create a synthetic polymer from coal tar. Although plastic did not replace other materials immediately, the invention of “Baeklite” can be justly considered the start of the modern plastic era. Economic deprivations from the two world wars and the switch to petroleum over coal (for obtaining synthetic polymers) helped to spur increases in plastic usage and development. (During World War II, American plastic production and usage tripled from previous levels.) After World War II, plastic development accelerated with the introduction of well-known plastics today such as polypropylene, PVC, “polyester”, etc. By the 1960s, plastic had largely replaced older materials as a hallmark of consumerism in developed societies. Although plastics are found in a dizzying variety of forms, some basic categories can be applied to them. At a fundamental level, plastic materials composed of natural, organic, and synthetic monomers can be organized into two large groups: thermoplastics and thermosetting plastics. Of the two groups, thermoplastics are the most widely used. This is largely due to the reality that they are easy to work with. When heated, thermoplastics become pliable. Under normal conditions, however, thermoplastics are very hard – and when cooled from a heating process, they become rigid again. The process of heating and shaping thermoplastic material can be performed over and over again, meaning that the same material may be recreated many times. Thermoplastics may be acquired as preformed stock shapes, or in resin form, from which shapes may be made. A rare drawback of thermoplastic products is tied to very low temperatures: if a user places the product in an extremely cold environment, the thermoplastic may become glass-like and runs the risk of fracture. In contrast to thermoplastics, thermosetting plastics fare quite well in the cold. Generally speaking, they are actually stronger than thermoplastics and become quite hard when heated above a certain temperature. A major structural difference between thermosets and thermoplastics is their polymer length; overall, thermosetting plastics possess shorter polymer chains. Examples of thermosetting plastics include polyurethane, Bakelite, Duroplast, epoxy resin, cyanate esters, and polyester resins. Unfortunately, these types of plastics do not fare well in the face of high heat, which degrades them chemically. Furthermore, once they have been cured, thermosetting plastics cannot be remolded. Instead, manufacturers must acquire new material, which is available only as non-flowing mass, premixed blends or two-part liquid resins. Thermosetting plastics may be cured via air setting, anaerobic, cross-linking, hot melt, room temperature curing, or vulcanizing methods. Plastic resins represent the core ingredient of any plastic production. Thus, their creation is the first step in plastic production. This initial step of resin creation is known as the cracking process. It consists of obtaining various hydrocarbons (such as propylene and ethylene) by heating larger compounds derived from petrochemicals (crude oil and natural gas). The variety characterizing hydrocarbons obtained from cracking (e.g. types, amounts) is dependent on the heating temperature used during the process. The second step revolves around reassembling hydrocarbons into compound chains identified as polymers. (Naturally speaking, the term polymer refers to a very common, chain-like type of organic compound containing many low-mass molecules.) The third and final step in resin creation can justifiably be considered the heart of the plastic industry since it consists of reassembling polymers into different types of plastic resins – the core ingredient of plastic production as a whole. The material variation that marks plastic production is a direct result of different plastic resin combinations. During plastic formation, manufacturers may use pure resins or they may combine the resins with additives such as fillers, heat stabilizers, lubricants, or plasticizers, as needed. Additives may be used to change any number of plastic material properties, including density, color, structural integrity, corrosion resistance, heat resistance, strength, and working temperature range. Changing colors for aesthetic purposes actually represents a major use of additives. (While pre-colored resins and/or compounds can be used, this method is generally not as efficient as using additives. One of the most efficient methods for color changing is known as masterbatching.) With the aid of computer programming and numerous quality control checks (both visual and instrument-driven), plastic products can assume virtually any color to aesthetically please end users in addition to offering pragmatic usage. Plastic (and especially thermoplastics) can be molded into a wide range of products using a myriad of processes. Manufacturers often produce stock forms and more advanced plastic products through some type of extrusion or injection molding. Other plastic fabrication processes that manufacturers may use include blown film extrusion (used to fabricate plastic film), foam extrusion, pultrusion, precision plastic machining, pressure forming, vacuum forming, thermoforming, welding, grinding, and casting. Injection molding and blow molding are two of the more common manufacturing processes used for plastics. Injection molding, in particular, is the main mode of formation for thermoplastics. It involves placing raw plastic material known as stock in a conveyance channel, where the stock is forced into a mold by a long screw located in the chamber. (The resin and accompanying dyes can also enter the channel in pellet form.) The stock is liquefied by a combination of the heat from heating elements in the channel and the pressure and friction caused by the turning screw. The molten plastic is then shot into a mold, which gives the plastic a certain shape. (If the molten plastic is combined with fibers designed to reinforce the plastic, the product is known as plastic bushing.) The blow molding process differs slightly. The way that the plastic enters the mold is the same, but the final shaping of the plastic is assisted by compressed air which is directed into the mold. The air expands the melted plastic and hollows it out in specific places. Once the plastic cools and hardens, it is removed from the mold, and the process is complete. Compression molding represents the main mode of formation for thermosetting plastics. In this method, resin is also transported into a mold to assume a desired shape. However, compression molding uses resin in a powdered form and heats it until the resin hardens (instead of becoming pliable). Under heat, thermosetting resins decompose and cross-link to create a closely intertwined molecular structure. Due to this molecular process, thermosetting plastics do not become pliable again even once cooled. Plastic materials are available in a number of stock forms, such as films, rods, sheets, pipes, and profiles. These stock shapes may serve as a finished product, or they may go on to receive more processing. As alluded to previously, plastic is a general term denoting an extremely broad range of synthetic material. Descriptions of some of the more common or useful plastics follow below. Polyethylene is the most popular member of the plastics family, with an average annual global production of 80 million tons. Most of its applications are related to packaging. It is used to make products such as shampoo bottles, milk cartons, plastic bags, plastic films, filters, and geomembranes. Broadly speaking, PE can be divided into two major families: high density and low density. Low density polyethylene (LDPE) is used for highly ductile applications like grocery bags, while high density polyethylene (HDPE) is used to fabricate more rigid constructions, such as detergent containers. (The highest density polyethylene is Ultra High Molecular Weight Polyethylene or UHMW. It is used to manufacture extremely rigid devices such as artificial knees or hips.) Polyethylene terephthalate (PET) has the distinction of being the single most widely used plastic in the world. Because of its moisture and breakage resistance, it is commonly used for applications such as water bottles and waste bins. Polystyrene is more commonly known by its trademarked name Styrofoam. In its official form, Styrofoam is composed of close-celled extruded polystyrene foam, mostly used for thermal insulation and craft applications. However, in North America, “Styrofoam” has become the generic name for any kind of expanded polystyrene foam. The latter Styrofoam is the material used to make coolers, disposable coffee cups, and cushioning beads, or pellets for packaging. Non-foam forms of polystyrene are used for soft consumer products like test tubes or certain drink lids. Polypropylene is a thermoplastic that is low friction and more resistant to solvents, chemicals, acids, and bases than most plastics. As such, it is used to make automotive components, various textiles (e.g. diapers, thermal underwear, sanitary pads), electrical insulators, carpet, and some types of rope, stationary, laboratory equipment, and more. This plastic’s ease of manufacturing is another factor contributing to its popularity. A common synthetic plastic is Delrin, which is also known by the names polyoxymethylene (POM), polyformaldehyde, polyacetal, and acetal. Delrin is characterized by extremely high strength, rigidity, and hardness (due to a simple molecular chain structure). With these qualities, it is often used as a metal substitute and is used to fabricate precision automotive and construction parts, as well products like small gear wheels, ball bearings, eyeglass frames, fasteners, and lock system components. Acetal is sometimes described as a “bridge” type of plastic that occupies a special position between average plastics and metals. PVC, or polyvinyl chloride (mostly known in North America as vinyl) is the third-most widely produced synthetic plastic polymer in the world. Consisting mostly of chlorine converted from industrial salt (57%) and carbon derived from petroleum using ethylene (43%), it is available in both flexible and rigid forms both of which are very popular in their own right. Flexible PVC is made possible through the addition of plasticizers and is often used in electrical cable insulation, plumbing, imitation leather, inflatables, and in many applications as a rubber substitute. Rigid PVC (RPVC) is used to create bottles, non-food packaging, plastic cards, construction components like pipes, and door and window profiles. Clear plastic wrap (used for food packaging) is, in all likelihood, the most familiar form of PVC to average consumers. Acrylic, or poly methyl methacrylate (more commonly known as Plexiglass) is a transparent thermoplastic frequently used in sheet form as a glass substitute. Shatter-proof acrylic plastic, (also known as acrylic glass) is used to create many necessarily strong products, such as bullet-proof security barriers and glass, skylights, rear lights and instrument clusters for automobiles, bathtubs, signs and displays, and LCD screens. Plastics in the polycarbonate family are simply thermoplastic polymers that contain carbonate groups in their chemical structures. Generically, a plastic in this group can simply be called polycarbonate. Polycarbonates are noted for possessing high impact strength in comparison with other plastics. Additionally, polycarbonates are known to have good heat and flame resistance and to be good electrical insulators. Manufacturers mainly use them to produce electrical components, construction materials, aircraft and automobile parts, security components and personal security apparel, including riot gear, sunglasses, swim goggles, scuba masks, and safety glasses. Epoxy resins or epoxies are the most widely used type of thermoset resins. They are valued for their high strength and chemical resistance. Both of these properties are behind epoxies’ common use as sealing mechanisms. For example, flooring and airline companies highly value epoxies (for adhesive purposes and sealing aircraft components, respectively) because of their waterproof and chemical proof characteristics. Plastic materials are highly valued for a variety of reasons. Efficiency is an appropriate term to convey many of plastic’s beneficial characteristics. This synthetic material is capable of being manipulated or shaped into any configuration possible. In addition to its customizability and versatility, plastic is a light, strong, and durable material that very inexpensive. Furthermore, plastic is generally impervious to environmental breakdown and safer to handle than metal or wooden counterparts. Because of these numerous benefits, plastic is more favorable on many counts than other materials. In terms of economic history, the “plastics revolution” has marked a watershed in human development. In the past, the economic potential of individuals and societies as a whole was severely bounded by the availability of natural resources that were directly attainable. With the invention of plastic, humans discovered the ability to create a completely new resource at a much lower cost than traditional sources and methods. The universal adoption of plastic has enabled consumers worldwide to share in a level of material wealth unknown to previous societies. If the right processes are implemented and implemented well, plastic materials can be turned into countless invaluable products in every industry – including aerospace, food processing, automotive, medical, industrial, packaging and water treatment (to name only a few). In fact, plastics have virtually replaced naturally occurring resins across every sector of global commerce. Some types of plastics are better suited for specific industries. For example, although thermosetting resins are not as popular as thermoplastics, they are useful for heatproof applications such as coffee mugs. Another example of industry-specific resin usage can be found in the food industry. Plastic resins used in this field require high chemical and temperature resistance. Thus, materials such as PET (which has high moisture resistance) are used for applications such as water bottles. It is evident that variety and versatility characterize the entire field of plastic production. Such variety requires a sophisticated knowledge of chemistry and the right manufacturing processes for specific types of applications. Thus, it is important to invest in finding a plastic supplier with a deep level of experience and expertise in the production process. You should look for a supplier that has a good reputation (both from industry accreditation and from consumers) as a well as a tested track record of excellent customer service. Consider centralizing your plastic supply operations at one manufacturer if you are able to find a high-quality supplier. Over the long run, working with a single supplier tends to streamline operations in addition to saving money.